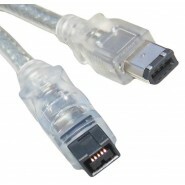 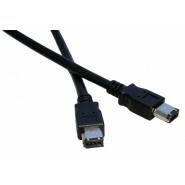 Firewire leads are similar to USB leads although they are frequently found on high quality equipment such as digital video devices and high speed computer storage. 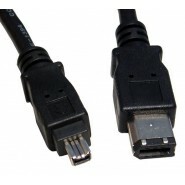 There are two main Firewire connectors, the 4 pin connector, this is a small 4 pin connector it is oblong with a triangular notch in the bottom and the 6 pin connector, this is a larger connector it is still oblong in shape but it has one rounded side. 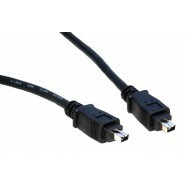 The official name for Firewire is IEEE1394 this isn't the easiest name to remember so most people just use the name Firewire.